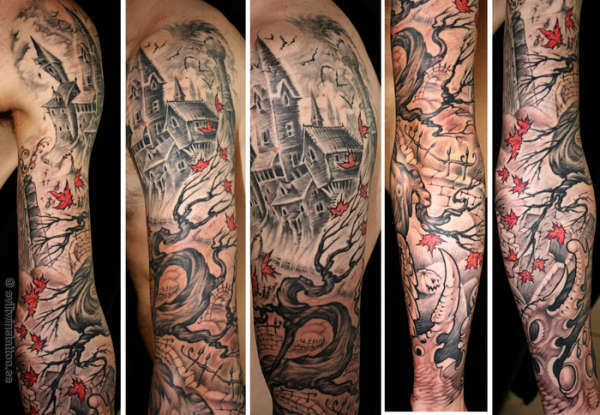 Here is my sleeve that was made by Max on Evil Twins in Sweden. WoW that's really one nice sleeve there!!! I like how the leaves look like they're moving.